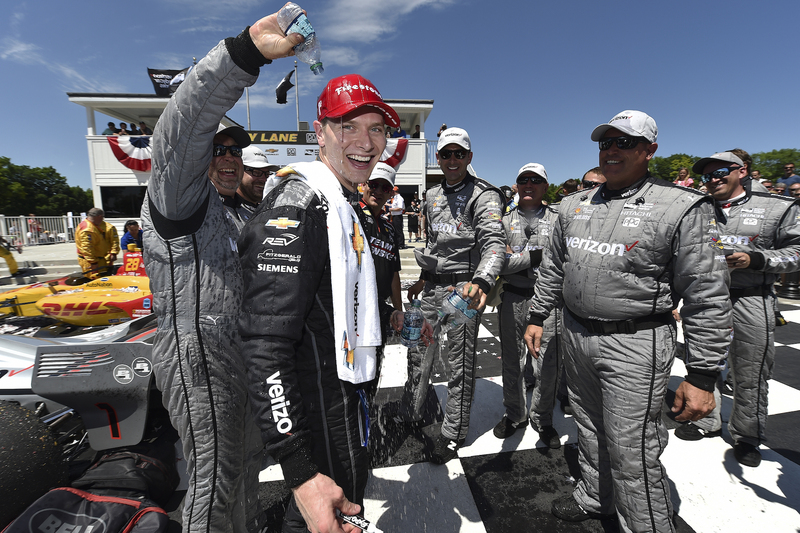 Team Penske's number one driver, Josef Newgarden, cruised to a dominant victory at the 2018 IndyCar Kohler Grand Prix at the legendary Road America race track in Elkhart Lake, Wisconsin. 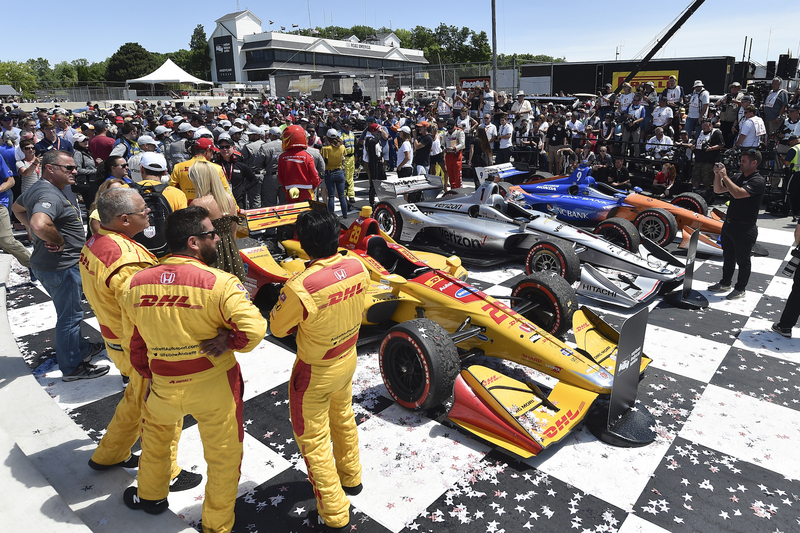 The Tennessee native managed to hold off a charging Ryan Hunter-Reay, who finished in second place despite annihilating the gap that separated the two drivers towards the end of the race. Scott Dixon climbed five spots from his starting position to finish in third place. The 4.048-mile circuit welcomed legions of open-wheel racing fans who congregated to see their favorite gladiators fight each other for racing supremacy. 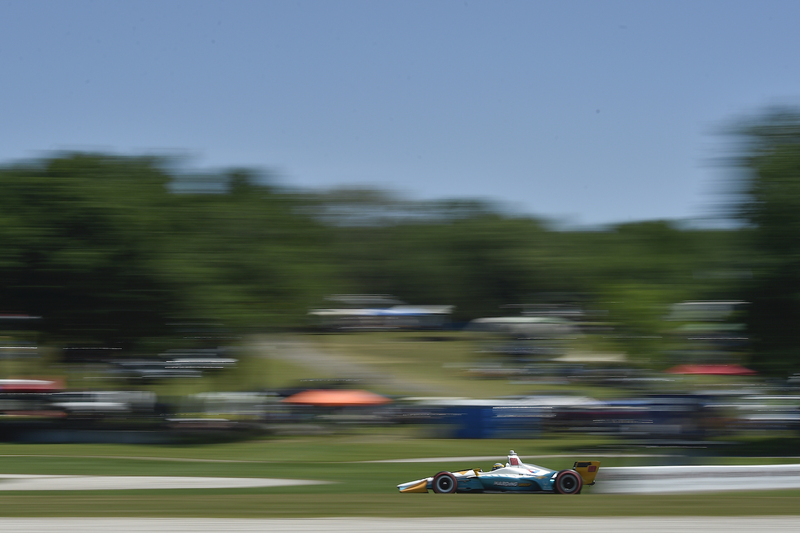 Known for its long straights and high-speed corners, Road America is oftentimes referred to as the "national park of speed." Of course, with averages exceeding 140 miles per hour, the 68-year-old circuit didn't disappoint. Things got off to a great start for most drivers except Will Power, who quickly began dropping down the field as soon as the green flag fell due to mechanical failure. It's not exactly clear what caused the sudden loss of performance, but it appears to be related to his Chevrolet's exhaust system. After being passed by the entire field on lap one, Power made a trip to the paddock where the team got to work on his car. "Literally from as soon as I started warming it up, there was something amiss," said Power. "I have no clue. They replaced the exhaust and it still didn't take so the Chevy guys will take a deep look at it." 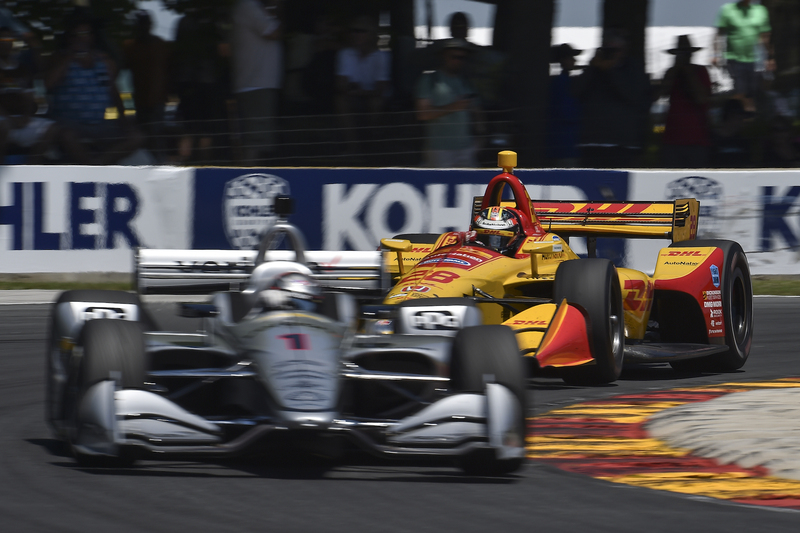 Meanwhile, it was Power's teammate Newgarden who built a comfortable gap to Ryan Hunter-Reay and Alexander Rossi. The young American driver held on to the lead for the duration of the 55-lap race, only surrendering it to Scott Dixon during pit-stop intervals. However, Alexander Rossi didn't enjoy the same luck, as an issue with camber shims (front-end alignment) forced the Andretti driver to pit for repairs. While the back of the field swapped positions constantly, Ryan Hunter-Reay sat quietly in second place for most of the race but suddenly "turned it on" with about 13 laps to go when the Andretti driver cut a huge chunk off the gap to Newgarden, getting as close as one second behind the Penske racer. Unfortunately for him, he simply didn't have the speed and tires to pull off a move, especially with the wake of turbulence that the new body kits produce. 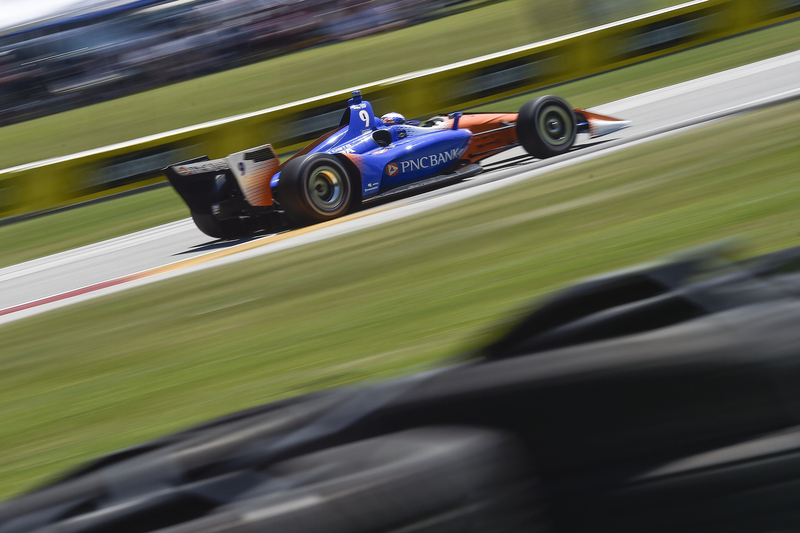 "Had we been able to crack in front of (Josef Newgarden or Ryan Hunter-Reay), I think we could have stayed in there, no problem," said Dixon. "To try and close that gap, I made a really big run on Hunter-Reay coming into the last corner on Turn 14 during his out lap, and I just cooked it too much and got loose and lost momentum. I think that would have been the only chance I had to try and snag second (place) there. But good job by Josef and Ryan, it was a tough race and good points for us." 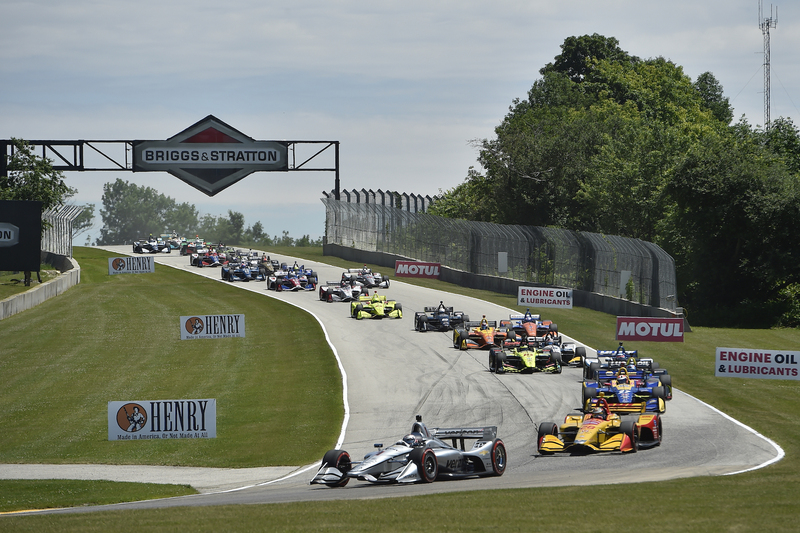 Further down the field, it was Takuma Sato, Robert Wickens, and Graham Rahal who wrapped up the top six, with Ed Carpenter's Spencer Pigot coming in an impressive eighth after starting the race from the 10th spot. The IndyCar circus now heads to the Iowa Speedway oval for the Iowa Corn 300 on July 8.